One consideration is that the MSF staff, as a matter of humanitarian policy, treated anyone needing care that was brought to the hospital. 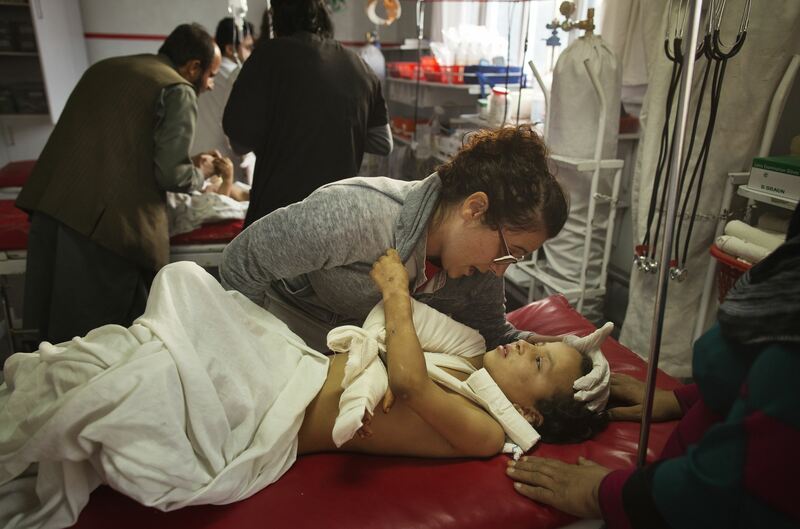 The U.S. may have regarded some of the patients as enemies of the U.S., but this does not justify bombing a hospital. Recent leaks of U.S. drone assassination policy, published by the online journal,The Intercept, clarify that the safety of U.S. people and the elimination of U.S. enemies have long overridden concern on Washington’s part for the preservation of other peoples’ lives, including civilians. Kathy Kelly (Kathy@vcnv.org) co-coordinates Voices for Creative Nonviolence (vcnv.org). She returned from Afghanistan in mid-September 2015 where she was a guest of the Afghan Peace Volunteers (ourjourneytosmile.com).